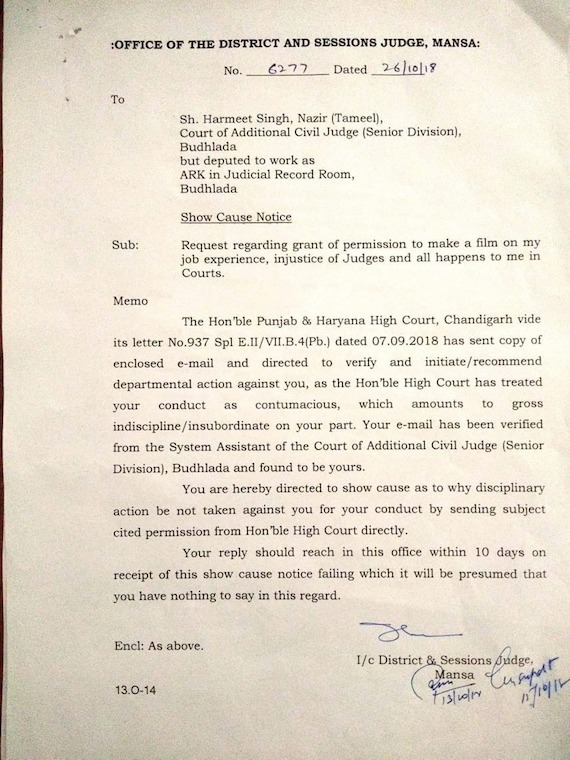 Chandigarh: A district court staff in Mansa, Punjab, has been issued a show cause notice for what the Punjab and Haryana High Court called his “Contumacious conduct” in sending an e-mail to the high court seeking permission to make a film on his experiences during service showing how judges break law and the injustice and torture caused to him and the staff. The incharge District and Sessions Judge, Mansa has issued a notice to Harmeet Singh Tinku after a communication sent to him by the Registrar General of the high court revealed that he had sent an e-mail to the high court seeking permission to make the film. 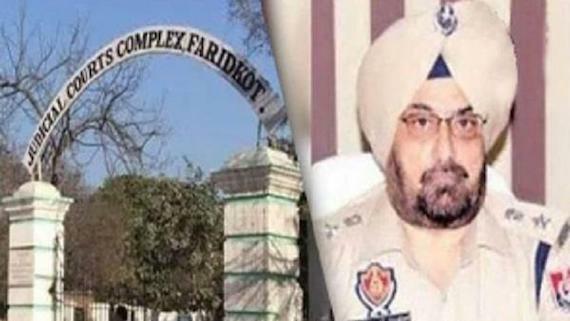 The communication sent by the Registrar General said, “The conduct of Harmeet Singh sending such an e-mail is contumacious, which amounts to gross indiscipline/ insubordination on his part”. The high court declined the permission to make the film and ordered that departmental action be initiated against him. 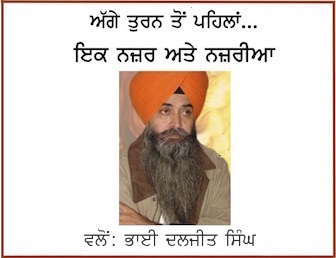 The in-charge District & Sessions Judge in the notice sent to Harmeet wrote that the e-mail sent by him was verified with the System Assistant of the Court of Additional Civil Judge (Senior Division), Budhlada, under whom Harmeet was posted before being deputed to work as a record keeper in the judicial record room. The notice stated that the high court has treated his conduct as contumacious which amounts to gross indiscipline and asked him to show cause within 10 days why disciplinary action be not taken against him for sending such request directly to the high court. Harmeet has been highlighting through social media and videos on YouTube cases of harassment of court staff across Punjab and Haryana. He has been uploading videos under the title ‘Dark Side of Indian Judiciary’. “Kindly grant me permission in one month, otherwise it will be presumed that there is nothing to say from your end,” Harmeet had said in his mail. Harmeet said he had joined the service as an ahlmad in the year 2009 and has been coming across corruption at every level. He says the court staff even takes a bribe to purchase stationery for their work because they are not provided stationery. He raised his voice against nepotism in services and complained against the practice of appointing relatives in all grades in lieu of bribe. Harmeet also has a contempt of court case pending against him for past over five years for accusing judicial officers of corruption and even faces disciplinary action for uploading videos online without seeking due permission. He said it was after he faced disciplinary action for not taking permission before uploading videos on YouTube that he decided to write to the high court requesting permission to make a film.